PrezentareQuien mato a Nola Kellergan es la gran incognita a desvelar en este thriller incomparable cuya experiencia de lectura escapa a cualquier tentativa de descripcion. Pronto en librerias la nueva novela de Joel Dicker, "EL LIBRO DE LOS BALTIMORE"
Intentemoslo: una gran novela policiaca y romantica a tres tiempos -1975, 1998 y 2008- acerca del asesinato de una joven de quince anos en la pequena ciudad de Aurora, en New Hampshire. En 2008, Marcus Goldman, un joven escritor, visita a su mentor -Harry Quebert, autor de una aclamada novela-, y descubre que este tuvo una relacion secreta con Nola Kellergan. Poco despues, Harry es arrestado, acusado de asesinato, al encontrarse el cadaver de Nola enterrado en su jardin. Marcus comienza a investigar y a escribir un libro sobre el caso. Mientras intenta demostrar la inocencia de Harry, una trama de secretos sale a la luz. La verdad solo llega al final de un largo, intrincado y apasionante recorrido. The Truth About the Harry Quebert Affair has rocked the publishing world, and is already being called the 'Swiss Millennium, -' referring to the huge success of Stieg Larsson's Millennium trilogy. 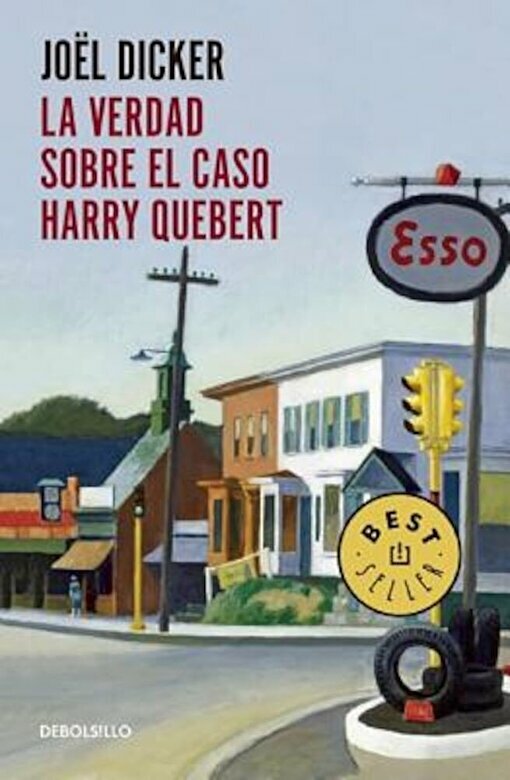 Just one month after the Frankfurt Book Fair, The truth about the Harry Quebert affair had been sold to 33 countries and won three literary awards in France, the Prix Goncourt, Grand prix du roman de l'Academie francaise, and the Lire Prize for best novel in French.Who killed Nola Kellergan? In 2008, a young writer named Marcus Goldman pays a visit on his mentor and acclaimed author Harry Quebert. There, Marcus discovers Quebert's secret affair with Nola Kellergan. Soon after, Harry is charged with the murder of the woman after authorities find her body buried in Quebert's back yard. Working to prove his mentor's innocence Marcus starts an investigation, recording every aspect of the case in a book. An intricate web of secrets starts to emerge, but the truth will only be uncovered after a long, complex, and exciting journey. An extraordinary detective tale and romantic novel, and an exceptional thriller that escapes all attempts of description, The Truth About the Harry Quebert Affair recounts in three distinct time periods--1975, 1998, and 2008--the mystery surrounding the murder of a young fifteen-year old woman in a small town in New Hampshire.